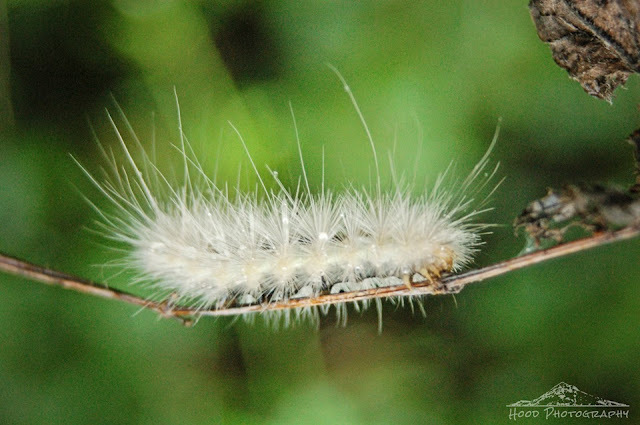 Sarah Bettey Photography: Albino Wooly Caterpiller? It is wooly bear caterpiller season around here. The black and orange versions are said to be able to predict the winter that you will have (the larger the middle orange section, the more mild the winter you should expect). I have seen a couple of orange and black ones this past month or so, but have never in my life seen an entirely white version. I had to look them up online and the white is supposed to indicate a lot of snow. Yikes! Gorgeous shot. Let's hope it's just an old wives' tale about the snow! Great capture.. I like the tightrope walking! Last weekend we spotted one of these up at Coldwater Lake, near Mt St Helens. We never saw a white one before either. Don't really want lots of snow..
very cute, I haven't done any of these macro studies, thanks for sharing.